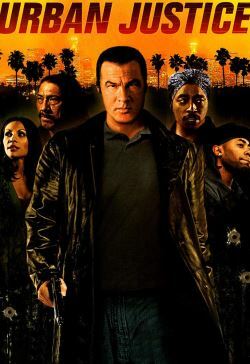 Steven Seagal (Attack Force, Flight of Fury) and Eddie Griffin (Deuce Bigalow, Norbit) star this no holds barred action, crime-thriller about a man with a dark and violent past who is out for revenge against the murderer of his son. Max Ballester is a street cop working in the heart of the poverty stricken city who made the mistake of being in the wrong place at the wrong time. Gunned down in the street in a senseless act of violence his murder goes unsolved and the killer unidentified. When Simon Ballester (Seagal), a former government specials ops agent, learns of his son's murder, he soon moves into the very neighborhood where Max was killed in order to spend his days asking questions and cracking heads as he searches for the killer of his son. He quickly makes enemies with the local gang members and soon finds himself a target of their hostility. Simon's ability with weapons and his flawless fighting skills prove useful as he uncovers a tangled web of deceit and murder.